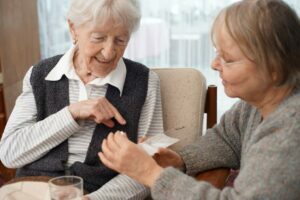 Medication management plays an important role in the daily lives of seniors with diseases, conditions, and ailments. By law, our Caregivers are unable to administer medications through injections, IV therapy, suppositories, and force feeding. Only a licensed nurse may perform these duties. Please reach out to a 24 Hour Home Care representative for more information.